Automakers turn to a special edition of cars that have been in the market for a long time. This is a perfect case example for the third-generation Volkswagen Scirocco. The German company has come out with a special Black edition for the model, which was first introduced in 2008. 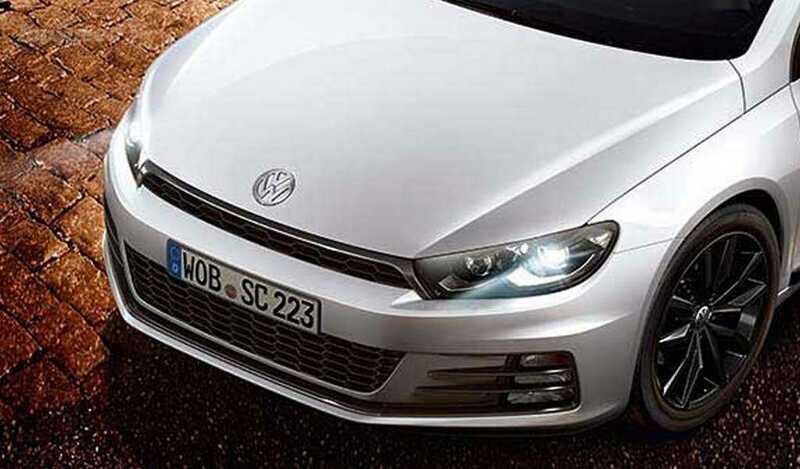 Even though it received a major facelift in 2014, Volkswagen has felt the need to spice things up and has added yet another special edition in the history of Scirocco. The Golf V-based coupe gets special treatment in the form of upgrades from the R version. The result is a Scirocco with a dark theme going throughout and aptly named as the Black Style edition. The significant changes in terms of style on the Volkswagen Scirocco R Black Style include 19-inch Lugano alloys which have been finished in black, theft-protection locks for the alloys, larger and more low-profile 235/35 tires, black side mirror caps, and a black roof. The vehicle will be available in colors like pure white, Indium Grey Metallic, Pyramic Golf Metallic, Urano Grey, Oryx White, and Ultra Violet Metallic finishes. Volkswagen is charging an additional $750 for these improvements, which will be available only with the top end variant. The most expensive variant of the Scirocco comes with a 2.0-liter TSI unit developing 276 bhp, which is 15 bhp more than the standard variant, which will help the vehicle clock the 0 to 60 mph figure is less than six seconds. Meanwhile, Volkswagen seem to have good news in the diesel gate scandal, as the company is reportedly approaching a fix for the polluting vehicles on the road today. Rather than come up with inexpensive recall, which would have been hugely damaging to the company as a whole, Volkswagen believe that they are now capable offixing the emissions without recalling the vehicles. The fix, though, is primarily about to come before the 3.0-liter engines found on Audi and Porsche models. Even though the vehicles with these motors are low on sales, estimates claim that around 500,000 are on the road today. The company, though, are still in a fix when it comes to the 2.0-liter engines, which form the bulk of the problem throughout the world. Volkswagen have been given a June 21 deadline in order to sort out the issues. Audi, meanwhile, have registered yet another strong growth for the quarter while Volkswagen continue to struggle in North America.